Fabric, Quilting Fabric - Fresh Picked Panel 44" x 24"
Fresh Picked Panel 44" x 24"
Enjoy the beauty of a garden with a little less mess! 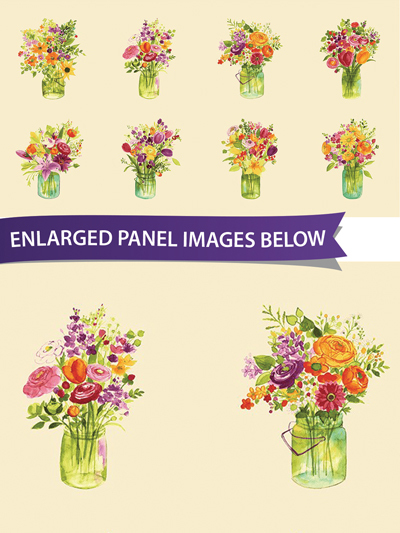 Have a fresh bouquet of flowers on display year-round. The lovely pink, purple and orange colors look gorgeous in a cute mason jar! Full panel measures 44" x 42". 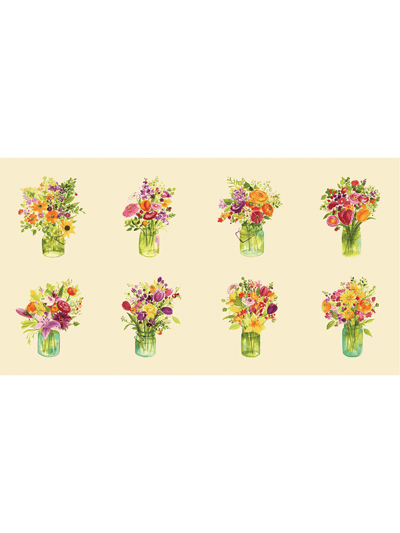 Moda Le Pavot Floral Panel 24" x 44"
Multi Butterfly Haven Panel 24" x 43"